Hamilton Robinson Capital Partners (HRCP), together with management and co-investors, has recapitalized GrayMatter, headquartered in Pittsburgh, PA, is a leader in the operational and industrial technology industry (IIoT). “We are excited to partner with GrayMatter as the firm embarks on its next phase of growth. GrayMatter has developed a tremendous reputation for delivering data driven, process automation solutions to optimize operations for leading North American industrial companies,” said Brandon Richter, Managing Director at Hamilton Robinson. “GrayMatter’s services and solutions guide customers through a digital transformation of their operations resulting in dramatically increased productivity, improved monitoring and intelligence and enhanced security,” added Jim Parmelee, Managing Director at Hamilton Robinson. A new wave of digital technology is creating opportunities for unprecedented increases in productivity and cost savings for industrial companies. “This couldn’t come at a more critical time, as the promise of Industry 4.0 comes true and industrial companies are realizing incredible value,” said GrayMatter Co-Founder Carson Drake. 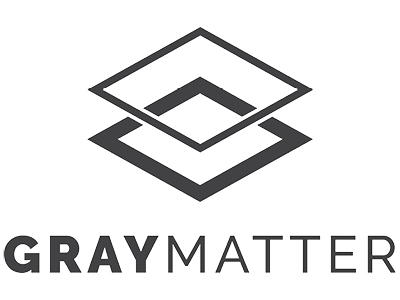 GrayMatter is a technology and consulting company headquartered in Pittsburgh, PA committed to transforming operations and empowering people in critical infrastructure environments. Winner of Inc.’s Best Places to Work and Fastest Growing Companies for the past two years, GrayMatter is rapidly expanding as GE’s number one software partner.